Diamond Details: Round brilliant cut white diamonds, prong set, of F color, VS2 clarity and excellent cut and brilliance, weighing 34.87 carats total. Metal details: 18k white gold. Measurements: 16.5 inches in length. 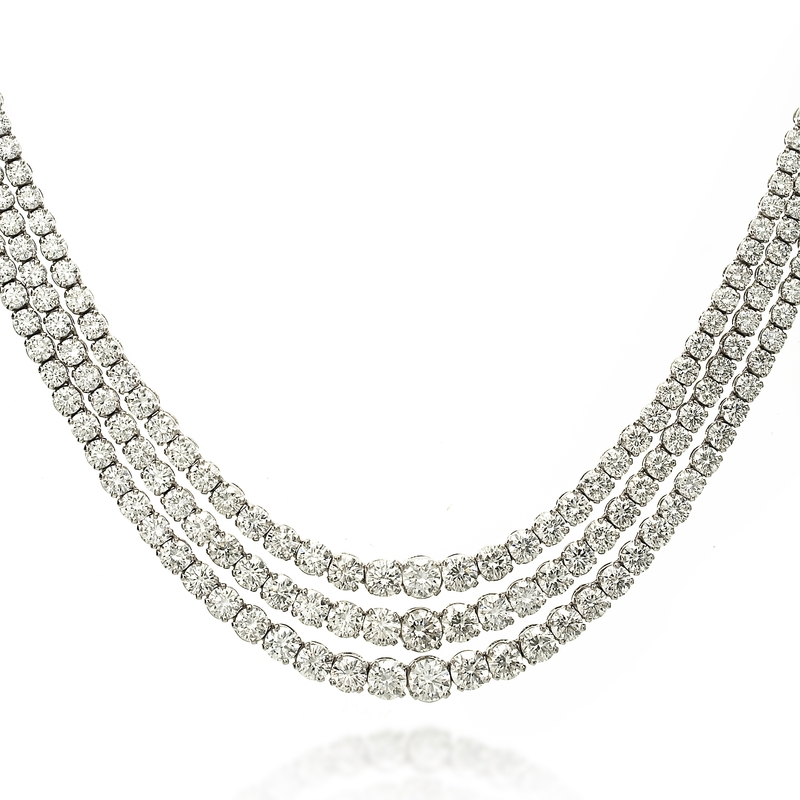 This opulent 18k white gold necklace, designed in Italy, contains prong set, round brilliant cut white diamonds of F color, VS2 clarity, and excellent brilliance, weighing 34.87 carats total. 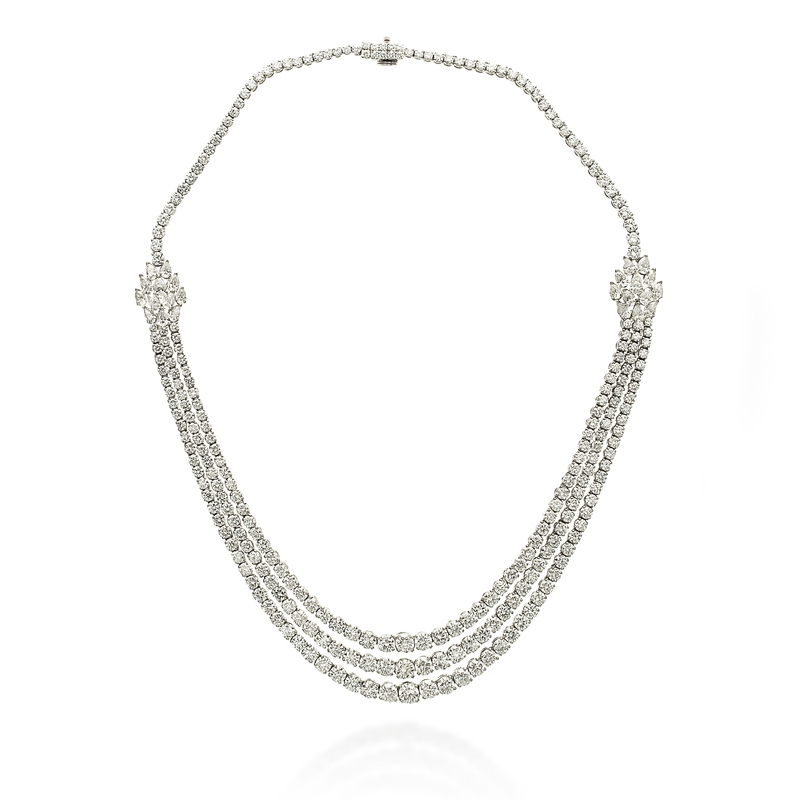 Get this definitive look of luxurious style! 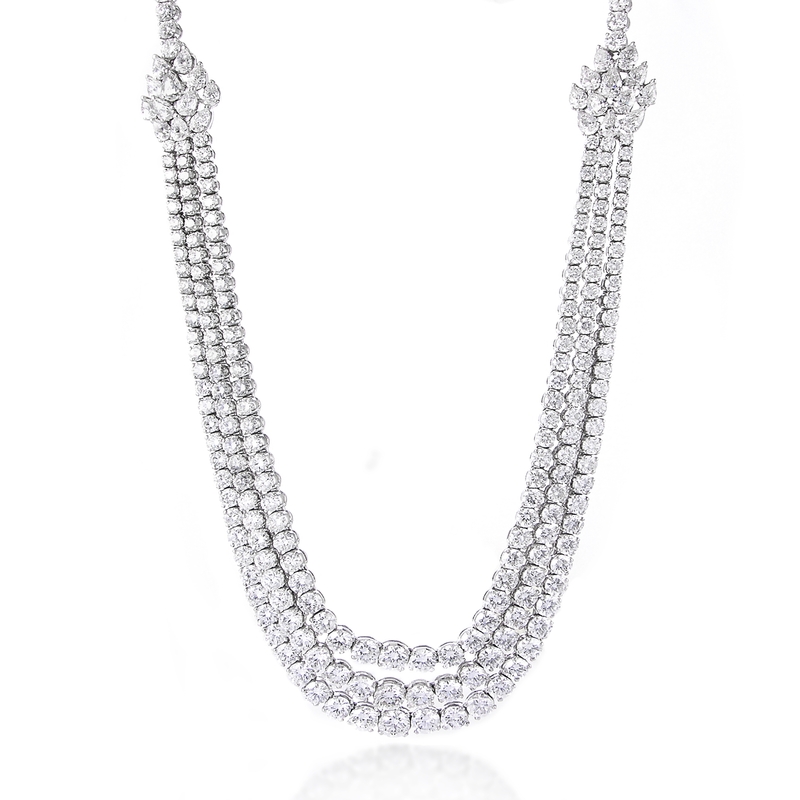 This diamond necklace measures 16.5 inches in length. 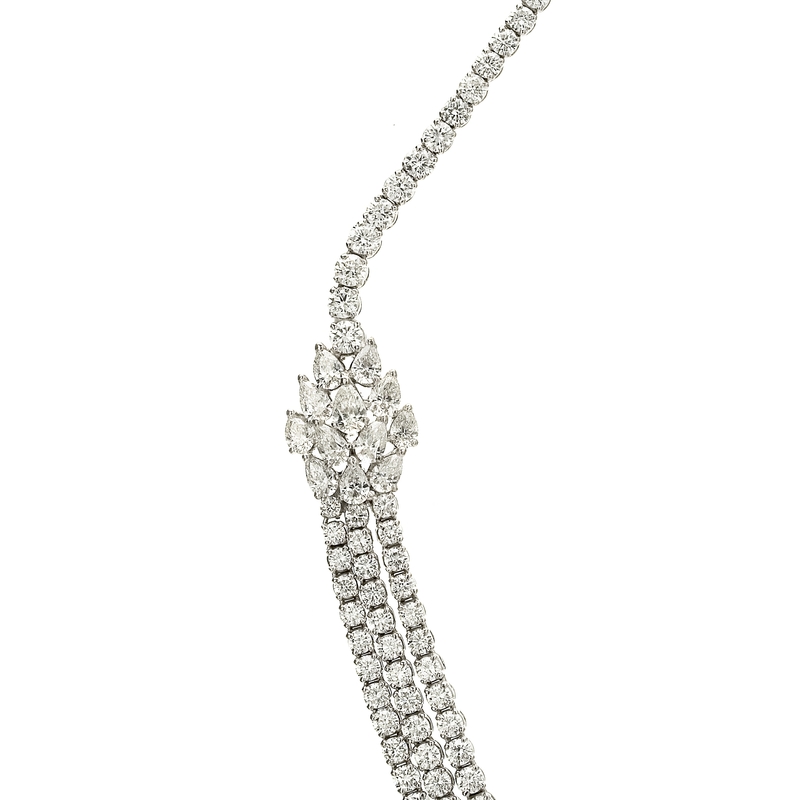 Diamonds go all the way around.